Clark Hunt took over the Kansas City Chiefs after his father, American sports magnate Lamar Hunt, passed away. It’s not easy stepping into Lamar Hunt’s shoes, but Clark does a great job with his wife, Tavia, by his side. Clark Hunt’s wife, Tavia Hunt, is the first lady of the Kansas City Chiefs who supports not just her husband, but the entire team as well. Born Tavia Michelle Shackles to Ramona Lakin Shackles and David Shackles on August 1, 1971, she’s 47 years old. The Missouri native grew up in Lee’s Summit in the Show-Me State. She graduated from Lee’s Summit Senior High School in 1989 and went on to study political science at the University of Missouri Extension. Her grandfather was a nondenominational pastor who instilled strong Christian values in Tavia. 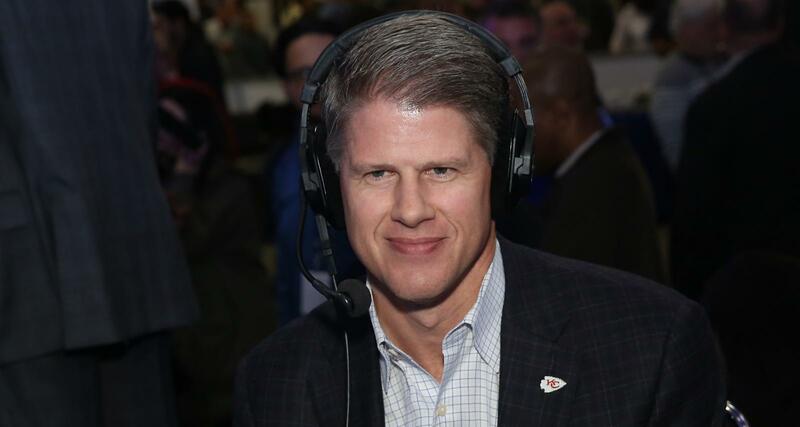 Fifty-three-year-old Clark Hunt was born and raised in Dallas, Texas. He graduated from St. Mark’s School of Texas and went on to attend Southern Methodist University in Dallas. Young Tavia Shackles was a fixture in pageant circles and won some major titles. She first started with a local pageant, winning Miss Lee’s Summit. She was crowned Miss Missouri Teen USA in 1990. She went on to compete in Miss Teen USA, where she made it into the top 12 along with Miss Louisiana and future actress, Ali Landry. She lost the title to Miss Oregon Bridgette Wilson, also an actress, who is now married to tennis legend Pete Sampras. Tavia won the Miss Kansas title in 1993 and competed in Miss USA that year. She was second runner-up in Miss USA, losing the crown to the Kenya Moore, the resident troublemaker of The Real Housewives of Atlanta. Interestingly, Clark Hunt’s cousin, Albert Hill III, is married to Erin Nance, who was first runner-up of the Miss USA 1993 pageant. Tavia was the one who set Al Hill up on a date with Nance. Tavia and Clark Hunt have been together since she was 19 years old and he was 25. They met when she was interning with her favorite team, the Chiefs, at the annual kickoff luncheon. They got engaged in 1991 and married on October 23, 1993. They celebrated 25 years of marriage in 2018. Tavia marked the occasion with an Instagram post, with throwback pictures of them together. This amazing man I have loved since I was 19 years old. As we celebrate 25 years of marriage I’m more in love with you today than ever before. Marriage is not easy, but it’s worth it. It’s two imperfect people committed to one another before a perfect God. Going halfway will never get you there. Your idea of halfway will always be relative and wrong. You both have to go 100% of the way and you end up somewhere in the middle. Marriage is about always having fun together, intentionality, love, patience, guarding your tongue. Forgiving, apologizing, and asking for forgiveness. It’s about communication and never giving up. It’s working to love one another with the reckless love of God. Ecstatic to celebrate 25 in Paradise with the love of my life. 10/23/93❤️??? Since Clark inherited the team his father founded, Tavia hasn’t sat on the sidelines. She has assumed mentorship and supportive positions for the Kansas City Chiefs for years. She’s the director of the Chiefs Women’s Organization and also takes charge of the team’s cheerleading squad. She actively raises funds for the many Chiefs organizations off the gridiron. Most recently, she hosted the annual Chiefs Style Lounge in 2018. Hundreds of members from Chiefs organizations, including cheerleaders and Hunt’s children, held fashion shows sporting Chiefs apparel. Tavia and Clark Hunt are parents to two daughters and a son. All three children are active in the Hunt family sports empire and the Chiefs’ organization with their mother. Their eldest daughter, Gracie Hunt, is a student at Southern Methodist University. She also followed her mother’s footsteps into the pageant world and was crowned Miss Texas International 2018. Their son, Knobel Hunt, is named after his grandmother, Norma Knobel Hunt. Knobel also attends his father’s alma mater, St. Mark’s, in Dallas. He plays football, soccer, and is a track and field athlete. The youngest Hunt, Ava, was crowned Miss Pre-Teen Texas International 2018. She’s also a gymnast and dancer. A look at her Instagram shows her cheering for her school and the Chiefs’ cheer squad.